RoboOption project is growing and developing rapidly, that is why the Company’s clients have more and more opportunities for trading and earning. Today, we’re pleased to inform you that RoboOption has completed developing RoboOption application for iOS and it is now available for free downloading from AppStore. 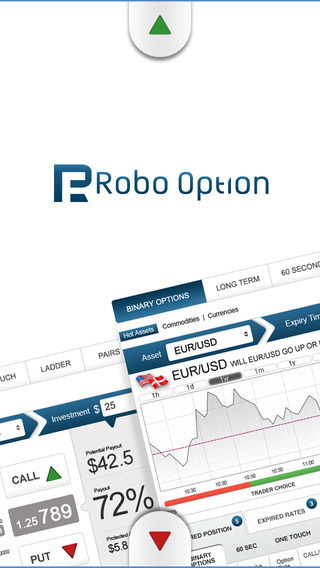 RoboOption mobile trading platform for iOS allows you to trade currencies, commodities, shares and indexes from anywhere in the world, and makes the trading process convenient and secure. You can read more about the Company’s mobile platforms in "Mobile Applications" section of RoboOption website.